The issue of Syria dominated the more than hour-long phone call between the Russian and American presidents. 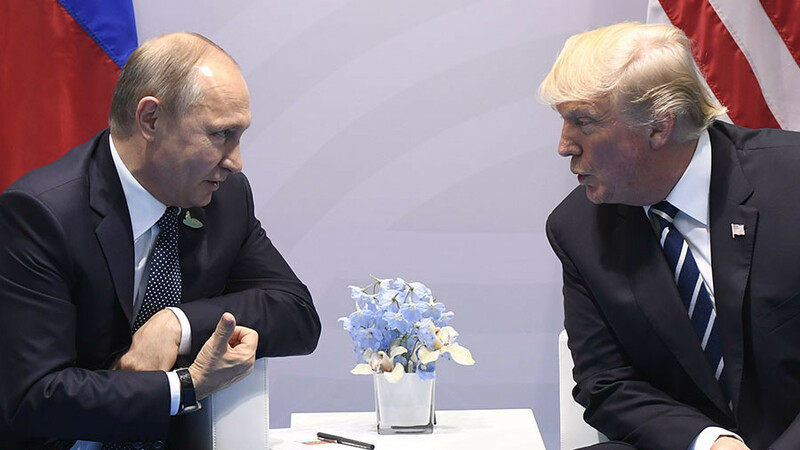 Putin briefed Trump of his recent meeting with Assad, and both leaders agreed on the importance of the UN-led Syrian peace process. Putin told Trump that President Bashar Assad confirmed his commitment to political reforms in Syria, including constitutional amendments. 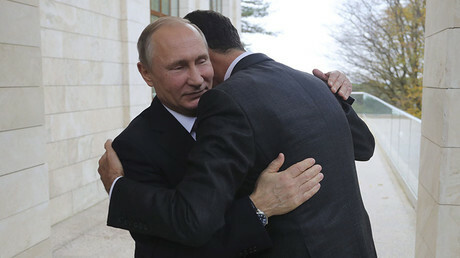 Assad also supported the idea of holding presidential and parliamentary elections as part of a transitional political process during his Monday meeting with Putin in Sochi. The Russian president informed his US counterpart of the forthcoming meeting between the leaders of Russia, Iran and Turkey aimed at finding ways to further normalize the situation in Syria while contributing to the political process in the Middle Eastern country. The trilateral talks are scheduled for Wednesday, November 22. “Both the parties expressed satisfaction with the phone call, which was practical and informative,” a statement from the Kremlin reads. The White House said Washington reaffirmed its support for the Joint Statement of the US and Russia issued at the APEC summit on November 11. “We’re talking very strongly about bringing peace to Syria, very strongly about North Korea, and about Ukraine," Trump told journalists following the phone call with Putin. The Russian president said a resolution of the Syrian political crisis must be based on the principles of preserving sovereignty, territorial integrity and the independence of Syria. Putin added that Russia has offered to host the Syrian Congress on National Dialogue in Sochi. Putin again spoke of normalizing bilateral relations, especially when it comes to fighting terrorism. He added that cooperation between Russian and US security services could be of great practical significance. Trump supported Putin's ideas, the Kremlin said. Putin and Trump agreed that the crisis around the Korean peninsula should be solved through diplomatic means, according to the Kremlin. While discussing the Iranian nuclear program, the Russian president restated Moscow's commitment to the full implementation of the 2015 Iran nuclear deal, known as the Joint Comprehensive Plan of Action (JPCOA). He also called the agreement “an important factor of regional stability” that also contributes to the global nuclear non-proliferation regime. Putin and Trump also touched on the terrorist threat and drug production in Afghanistan. Speaking about the situation in Eastern Ukraine, Putin once again underlined that there is no viable alternative other than the full implementation of the Minsk Agreements by all parties to the Ukrainian conflict. 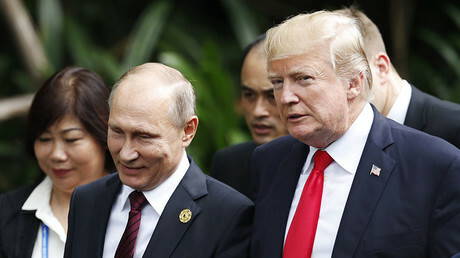 Trump later described his brief encounters with Putin during the summit as “good discussions.” He also slammed those who oppose US rapprochement with Russia, branding them “haters and fools.” He tweeted that “Russia can greatly help” the US in solving many pressing world issues. Putin also held separate phone conversations with King Salman of Saudi Arabia, Egyptian president Abdel Fattah al-Sisi and Israeli Prime Minister Benjamin Netanyahu on Tuesday. The discussions centered on the situation in Syria as well as a range of bilateral issues.